Make any surface interactive - including a tabletop - without the need for a screen or whiteboard. This complete package comes with everything that's needed to create a collaborative learning or working experience, including projector, digital pen and wall-mount. 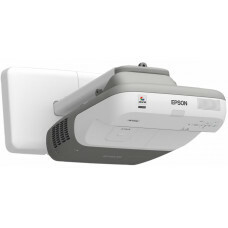 No matter what the interactive projector is used for, Epson's 3LCD technology ensures high-quality images with its equally high White and Colour Light Output for vivid, natural colours and deep blacks, even in daylight.